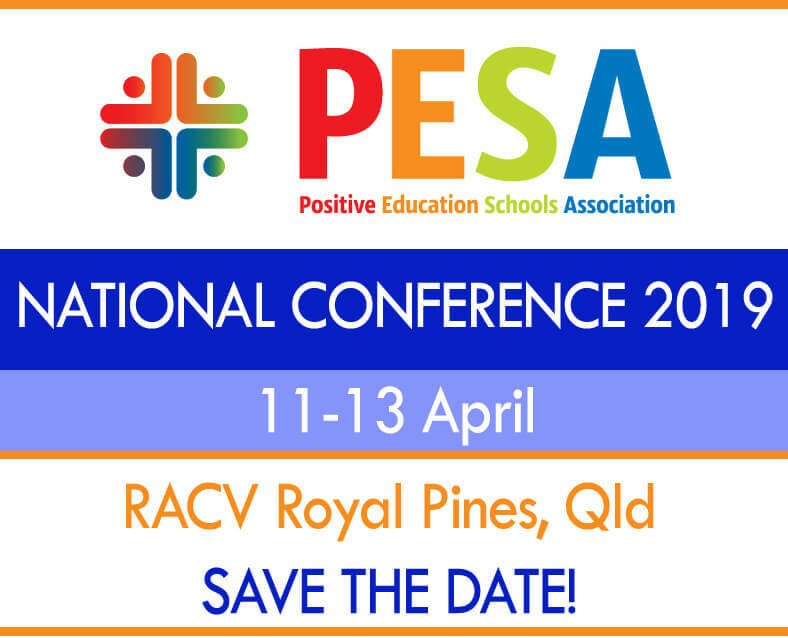 We are delighted to announce that the PESA 2019 National Conference will be held on 11-13 April 2019 at RACV Royal Pines in Queensland, so please diarise it now! This event will be a wonderful opportunity for participants to learn from national and international experts and thought-leaders, and to connect and collaborate with the Positive Education community, whilst taking some time to focus on their own wellbeing. We are thrilled to unveil our PESA 2018 Conference Video - a very moving reminder of this year’s event, and of why we are all so committed to Positive Education. Feel free to share it with your friends! We could not be more grateful to our 800+ delegates and presenters who all contributed to making this a truly extraordinary event. Further details about #PESA2019 will be available soon. For further information about sponsorship opportunties, please click here to view the Sponsorship document.